With the variety of rimfire disciplines, from cowboy action to Olympic level three-position, there are a host of different rimfire designs on the market. These may shoot the same ammo, but they certainly vary in looks and ergonomics. This is testimony to human creativity. I'll start this picture thread off with two very different guns. The first is a FR Gemini 703 from HPS Target Rifles Ltd. in England. 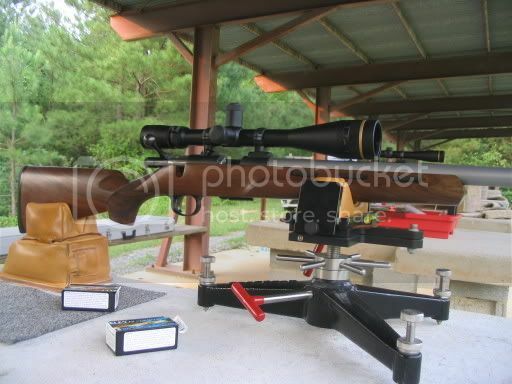 As shown below (fitted with Anschutz 54 match action), it is a 50m smallbore "free rifle". However, it is designed so that you can switch in a centerfire action (most commonly 6mmBR) for 300m matches. With an adjustable handgrip, it's wild looking to say the least. 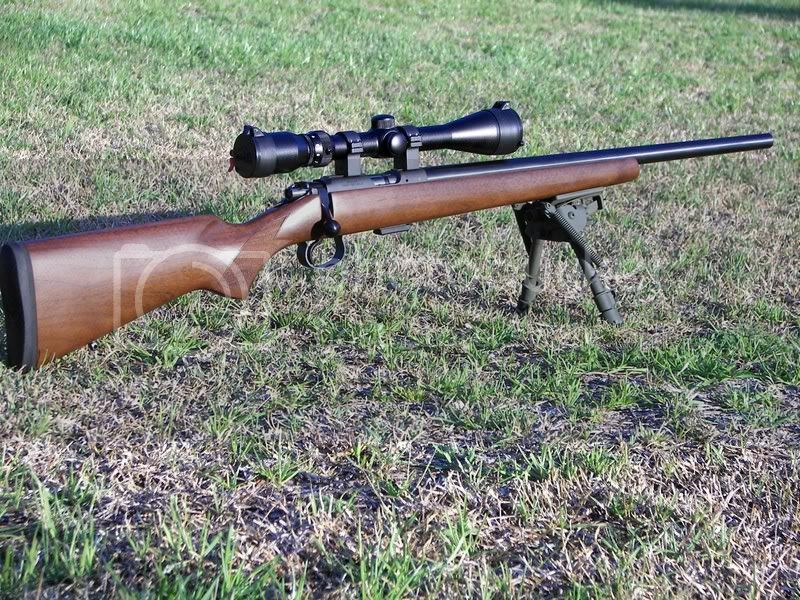 HPS calls this an "An unashamed ISSF derived stock for both 50m smallbore and 300m fullbore shooting." Three generations of my family have used this good old Win 52 and the equally old 20x Lyman. Nice old rifle that I still enjoy shooting. Gorgeous 52 do you have any more pics? Here I'm posting a pic of my Cooper LVT 17 Mach 2. Gary, nice job. But you need to build a repeater. That way us Tubb shooters will have a rimfire to practice with indoors. Thanks, there's been lots of intrest among the T2K shooters on it, mainly as a prone gun, have had a few requests about a repeater, have to wait and see.